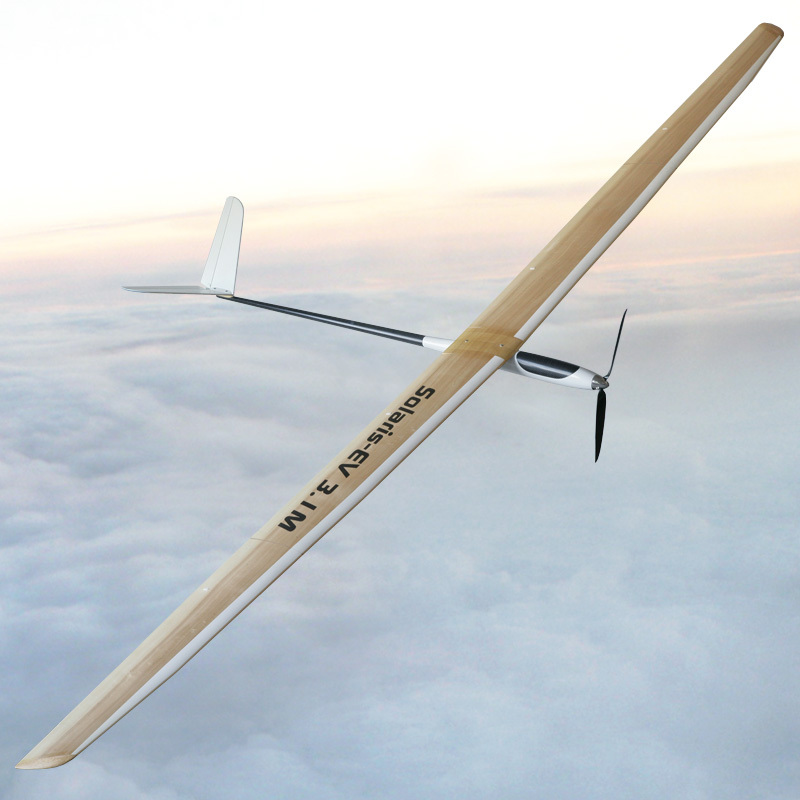 This electro-glider could be flown on flat terrains and on the slope in light to high wind condition is capable of performing all acrobatic maneuvers. 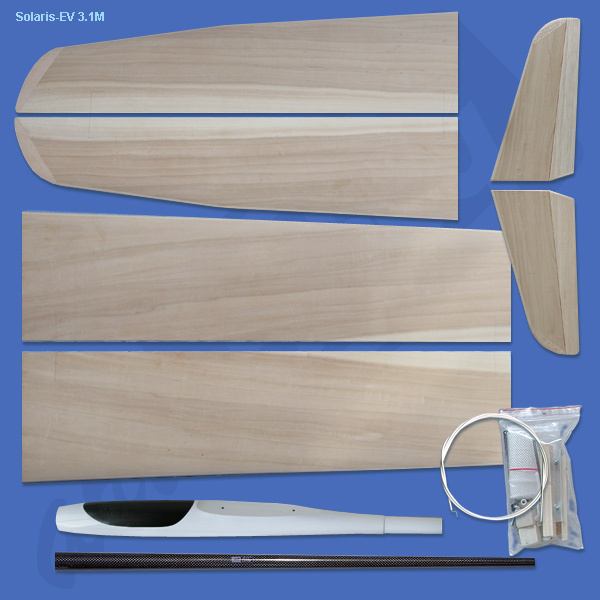 The Solaris wing features SD7080 airfoil specially modified for this sailplane, the benefits of that are very wide range of speed and excellent thermal abilities. Its flying weight is approx. 1600 grams (~56 oz.) The Solaris wing has internally hinged ailerons and flaps. Wing could be finished with ailerons and flaps or with ailerons only if desired by the builder. - composite fuselage pod is made of a few layers of fiber glass with glass roving and carbon fiber reinforcements for extra strength. It has removable canopy for easy access to the radio gear. The V-shaped wing saddle with molded in nuts for the wing screws. 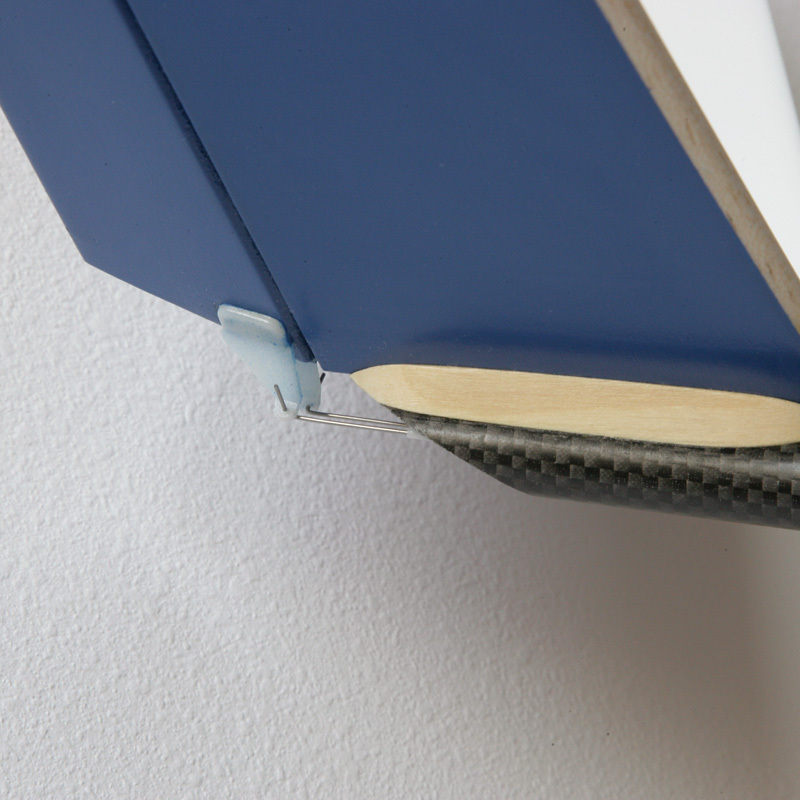 - wing cores are precision cut from high density white polystyrene foam, and sheeted with black poplar veneer bonded to the foam with aircraft industry grade epoxy in high pressure molds that produce perfect airfoil fidelity and a warp-free wing. 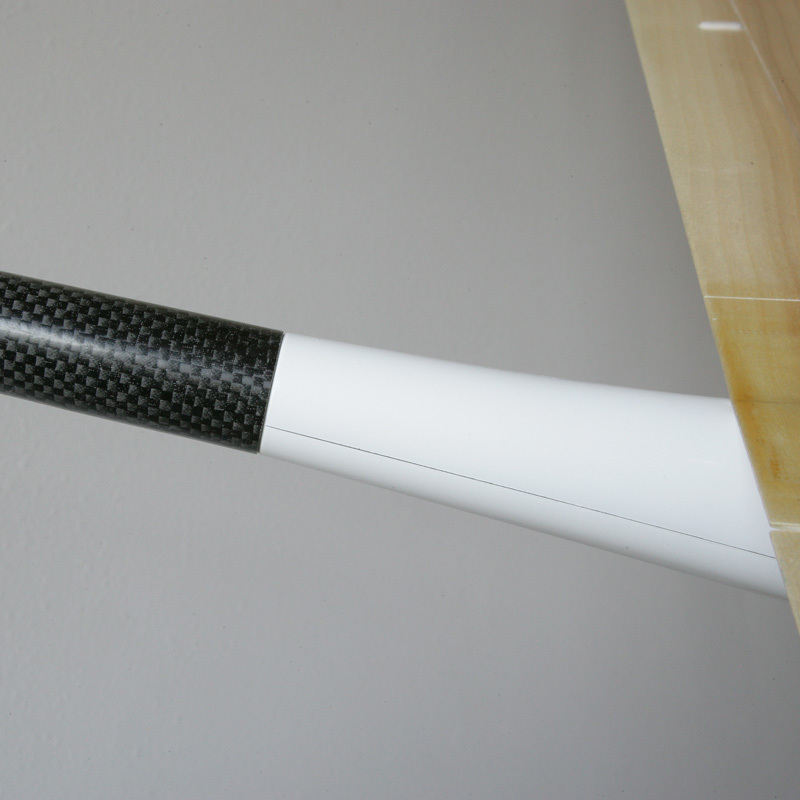 - light weight V-tail is made of foam cores pre-sheeted with thin poplar veneer for durability, stiffness and has pre-hinged control surfaces. ~3100 mm / 122 in. ~1455 mm / 57.3 in. ~920 g / 32.3 oz.